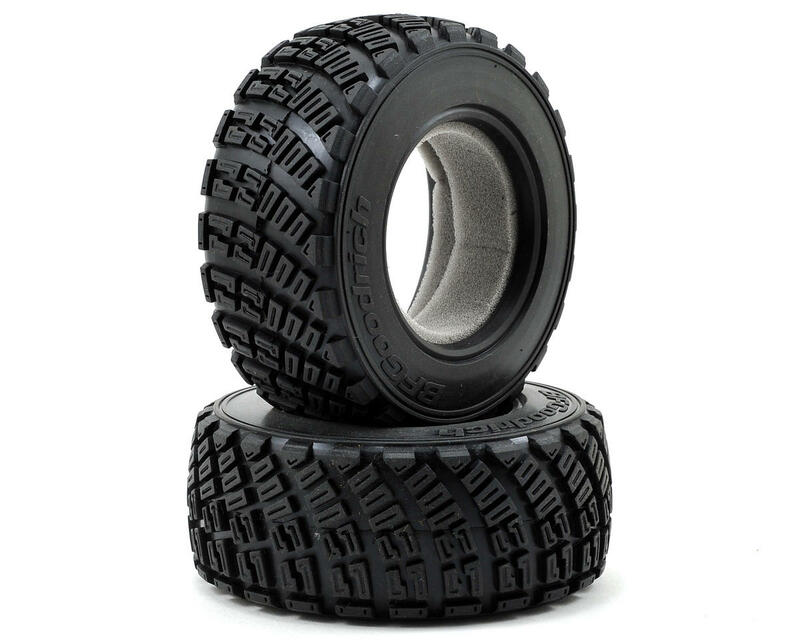 This is a pair of two Traxxas BFGoodrich Rally Tires, and are intended for use with the Traxxas 1/10 Rally car. These tires feature a gravel pattern, and are available in standard "hard" and soft "S1" compounds. 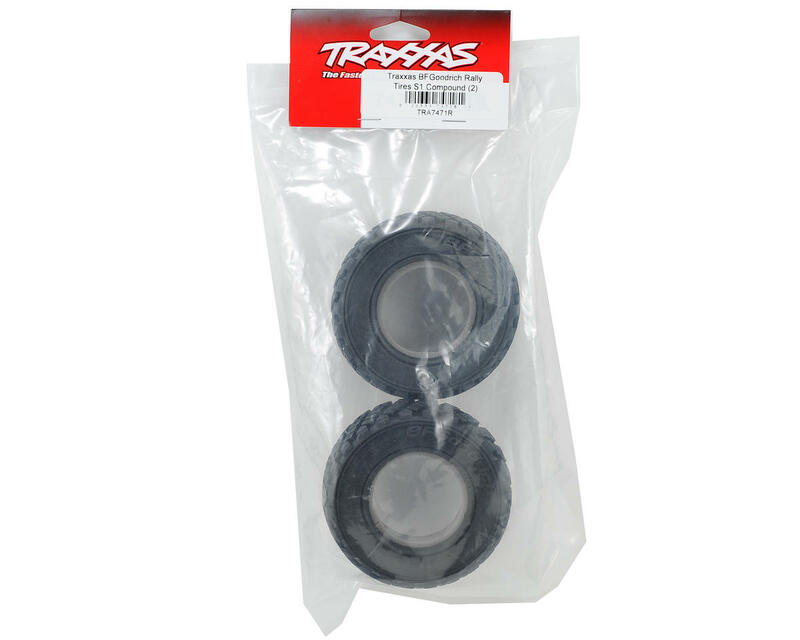 Traxxas' attention to detail for Rally includes authentic, fully-licensed tire designs that replicate the actual racing rubber used on dirt or gravel rally circuits. The BFGoodrich Rally Gravel tires offer superior traction on pavement, dirt, gravel, and more. The tire's unique directional tread pattern and sidewall design is captured in high-grip rubber, right down to the raised lettering on the sidewall. Standard compound is a long wearing rubber blend that will stand up to abuse on concrete and pavement, while S1 compound delivers precise steering and incredible grip.